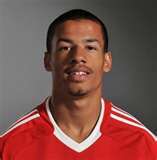 Liverpool black football player Nathan Eccleston is under investigation by his club for questioning the 9/11 terrorist attacks. Eccleston also tweeted sympathies to the families that lost loved ones but stood firm on his beliefs that the 9/11 attacks were not carried out by terrorists. His comments were removed from Twitter and he told followers that if they did not like what he said, they should not follow him. It is interesting that his comments were removed from Twitter, and this relates to the article I wrote on the experience of Charlie Bins (Read Unequal equality: One man’s exposure of the EHRC), who condemned the Equalities and Human Rights Commission (EHRC) for failing to remove racist remarks on websites and social media platforms whilst the evidence showed, as it has done in Eccleston’s case that comments can be removed when it offends certain groups such as Jews, and in this case governments. Liverpool Football Club say that they will investigate the matter and decide the appropriate response. Eccleston did not insult the memory of those who died on 9/11, nor did he insult the families of those who died, in fact he had empathy for them. This is a free speech matter but it will be interesting to see how Liverpool Football Club decide to proceed with this incident. Well done to Eccleston for speaking his mind on a politically sensitive topic which may wreck his football career. Brave individuals such as this in the public eye need the support of black and minority ethnic communities. This entry was posted in Sport and tagged Liverpool black football player Nathan Eccleston is under investigation by his club for questioning the 9/11 terrorist attacks. Bookmark the permalink.